While at first sight MariaDB 10 and MySQL 5.7 offer very similar features with virtual columns, the reality is quite different: for virtual columns in MySQL and MariaDB the syntax is not exactly the same, adding a virtual column is not done the same way and indexing sets different constraints. In this blog post, we’ll compare virtual columns in MySQL and MariaDB. Virtual columns are one of my top features in MySQL 5.7: they can store a value that is derived from one or several other fields in the same table in a new field. It’s a very good way to build a functional index. This feature has been available in MariaDB for some time, so let’s compare the two and see if they are equivalent. We’ll look at different aspects. The MariaDB documentation is very easy to find. Finding the documentation for virtual columns in 5.7 is a bit more challenging. Here is the best link I’ve found. The MariaDB documentation isn’t clear when you should use a persistent column rather than a virtual one. If you read carefully, you’ll see that indexes are only supported on persistent columns, but the pros and cons of both options could have been better presented. For MySQL, there is one interesting paragraph listing the potential use cases for stored columns and virtual columns. This paragraph is not super visible, but the gist of it is to always use a virtual column except if the value is too expensive to evaluate on the fly. Note that you don’t need to use a stored column to index it in 5.7. When creating a materialized virtual column, the syntax is unfortunately not identical: MariaDB has PERSISTENT columns while 5.7 has STORED columns. It doesn’t look like a big deal, but it’s another item to add to a check list before a migration. Great! Creating the column is only a metadata change, so it runs nearly instantly whatever the size of the table is. That’s probably one of the most striking differences: with MariaDB, a column must be PERSISTENT for it to be indexed. This is not necessary with MySQL 5.7. The only situation when an indexed column in 5.7 must be STORED is when it’s a primary key. 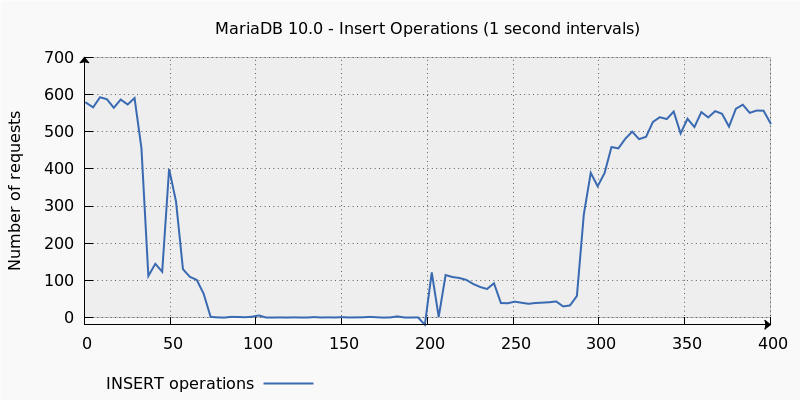 The big difference though is that adding the index is performed online in 5.7 while it’s a blocking operation in MariaDB 10. While at first sight MariaDB 10 and MySQL 5.7 offer very similar features with virtual columns, the reality is quite different: for virtual columns in MySQL and MariaDB the syntax is not exactly the same, adding a virtual column is not done the same way and indexing sets different constraints. The MySQL 5.7 implementation seems more polished for a production usage with large tables and/or heavy traffic. Published at DZone with permission of Stephane Combaudon , DZone MVB. See the original article here.